The 2014 Public Interest Careers Guide is now available for download. Thank you to everyone who joined us for the Careers Forum: 'Rethinking Careers and Redefining Success' yesterday. 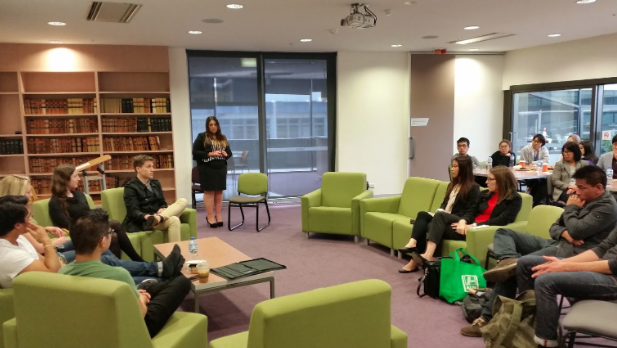 We were especially thankful to members of UNSW Law Faculty who joined us and provided their insights on the job market. Thank you also to our two student panelists Kara Grimsley and Harj Narulla who spoke about their experiences and exciting career opportunities lined up. Finally a big thank you to our presenter, Max Burke from Beyond Law who spoke about a range of job opportunities which are made available and accessible via Beyond Law at https://www.beyondlaw.com.au/. Stay tuned for a range of exciting Public Interest Careers panels lined up over the next few weeks! The Australian Corporate Careers team is proud to launch the UNSW Australian Careers Guide for 2014. Click here to download. UNSW LawSoc EGM will be held at 1:00PM on Friday 2nd May 2014. Click here to download the EGM notice. Hosted by King & Wood Mallesons, Macquarie Bank and McKinsey & Co! The 2014 International Careers Guide is out!. Check it out here!